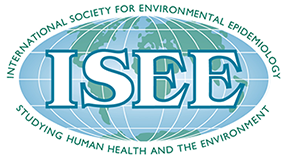 The 31st annual conference of the International Society for Environmental Epidemiology (ISEE 2019) will take place in the historic city of Utrecht, the Netherlands, and is expected to attract a minimum of 1,000 participants from all parts of the world. These include not only academic or government scientists, but also public health professionals, consultants, and industry representatives. We also expect significant participation from major international stakeholders such as the World Health Organisation, the European Union, the US Environmental Protection Agency and the US based Health Effects Institute. The meeting theme is ‘”On Airs, Waters, Places”’ in recognition of what was probably the first surviving text on environmental health, written by Hippocrates of Kos some 400 years B.C.E. Convening in a city which was founded by the Romans about 2,000 years ago, we thought it would be a good idea to discuss the history and future of Environmental Epidemiology at our meeting. Happy to meet you in Utrecht, the Netherlands, in 2019! The ISEE 2019 Newsletter is intended to communicate important information about the conference deadlines, news related to the theme and updates and services. Please leave your details below.